King Slide Groups have more than twenty-five years of experience in design of ball bearing slide rail and mechanical mechanisms. The brand name “King Slide” is internationally recognized as it consistently creates reliable, safe, and innovative design products, and continue its break through with innovative mechanical designs. Our manufacture and quality process are both certified with the international ISO-9001/14001, OHSAS18001 verification. 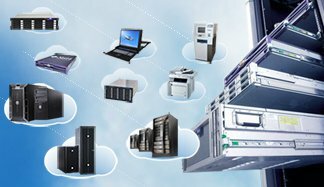 Many years of cooperating with international server manufacturers and providing our total solutions, King Slide has extensive experience in the field of IT industry. Provide you with professional and customized server slide rail kit to help you set up the perfect reliable enterprise-class cloud computing servers. We can customize server slide rails for rack mount rail kit designed for various cloud computing servers and data devices (such as Server, Switch hub, Storage, UPS, KVM, and so on) according to customers' requirements. Our innovative tool-less installation design and cable management arm will allow IT staffs to install and dissemble easily enhancing daily maintenance routine in which assist customers to create the perfect, professional, and high efficiency performance cloud data center or server room. Utilized the innovative development capability to design suitable and user-friendly mechanical slide rail for customers, and ensuring the application of electronic devices are in safety and reliable state. Varieties of server slide rail kit selections from standard to new special customized server specification. Ultra-slim rail design not only support wider width server products and rack design, but also capable with heavy loading supports include PASS UL test specification. Tool-less Installation designs allows one IT person to easily install and disassemble server / system devices during maintenance, which increases time efficiency management in the cloud / enterprise data center. High mechanical precision of ball bearing slide rail design perform stable and smooth sliding, adding locking mechanism further enhance the stability and safety during maintenance operation. Cable Management Arm can store variety of cables to neatly organize the rack to eliminated clutter, with neatly organized cables in the rack, it will also help improve heat radiating to maintain the best performance of servers operations. Over 25years of tooling and mechanical mechanism design and development experiences, along with stable manufacture technology allow King Slide to design new user-friendly and safe products while obtain over thousands patents. The distinctive innovative ability and experiences are the main reason King Slide can earn trusts and business opportunities to cooperate with international server, storage, or cloud devices makers. Manufacture process and quality are certificated by ISO-9001/14001, OHSAS18001 and products are compliance to ROHS regulation. In addition, King Slide is also committed to support RBA regulation. High automation and stable production technology including innovative abilities allow King Slide to provide its customers the newest and comprehensive total solution to help customer catch new innovative design trend in the market, and increase competitiveness in the market. Consideration factors during server slide rail kits selection： If you would like to order Enterprise/Cloud Server Rail kit products or have any related issues, please submit below information, we will contact you as soon as possible. 2. Chassis dimension (height, width and depth), and chassis system weight.